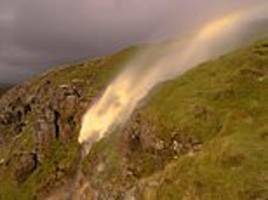 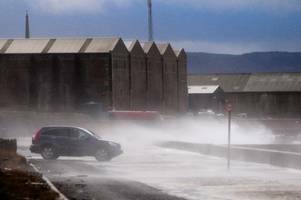 The dramatic footage was captured yesterday on Mallerstang Edge in the Yorkshire Dales as the storm reached its peak - bringing 80mph gusts to parts of the country. 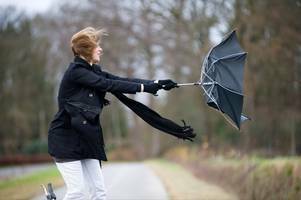 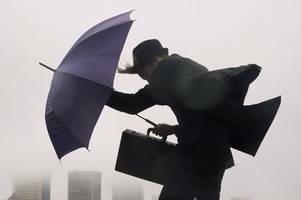 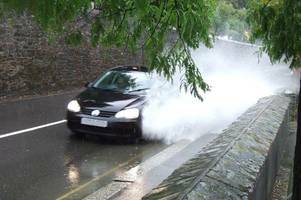 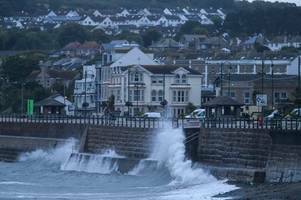 Storm Helene is making its way over to the UK [Getty] The Met Office has issued weather warnings to several parts of the UK, as the remnants of Storm Helene are set to hit the country. 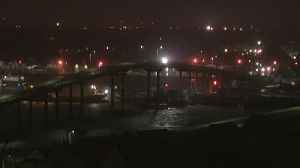 Storm Helene..
▶ Videos for "Storm Helene"
According to a report by Reuters, on Thursday, Tropical Storm moved on to Georgia and the Carolinas after devastating Florida's Panhandle, claiming the lives of two people, reducing homes to rubble,..
Florida’s governor mobilized National Guard troops and ordered Gulf Coast residents to head inland or evacuate as Hurricane Michael churned toward shore on Monday, with the storm forecast to..
Overnight gales from Storm Helene have created large waves, battering the coast of Cornwall. 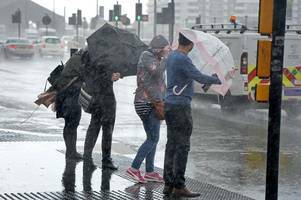 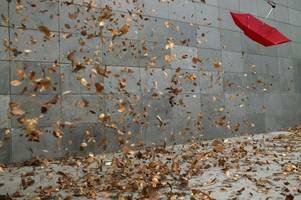 Dangerous flying debris and travel cancellations are expected as the first named storm of the season brings strong winds of up to 80mph to the UK and Ireland. 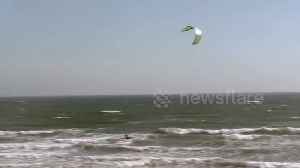 Amber severe weather warnings for the..
Kite surfers enjoy the high winds during the start of Storm Helene in Cornwall this afternoon (September 17). 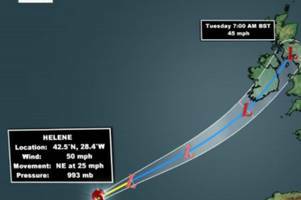 According to Reuters, the US National Hurrican Center said that Tropical storm Helene has formed in the Atlantic on Saturday and is expected to become a hurricane early next week, as it heads towards.. 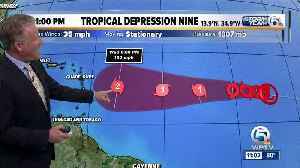 Tropical Depression Eight was upgraded to Tropical Storm Helene Friday evening. 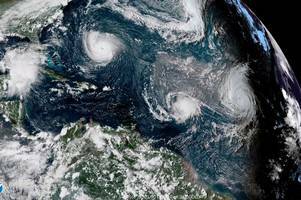 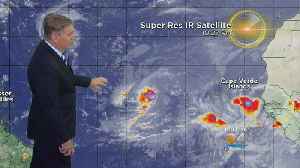 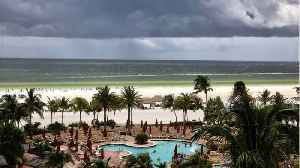 CBS4 News chief meteorologist Craig Setzer talks about what's brewing in the Atlantic. 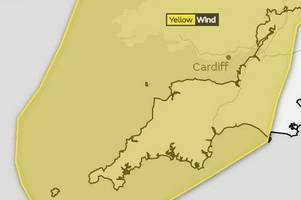 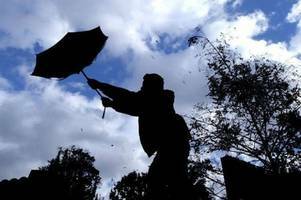 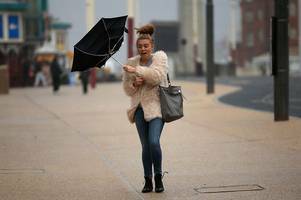 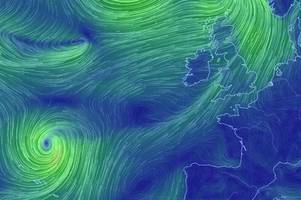 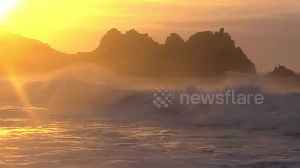 Cornwall has been worst hit by Storm Helene so far with reports of strong winds coming in. 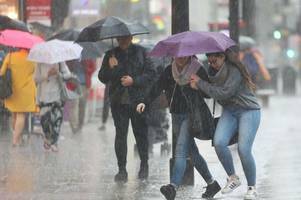 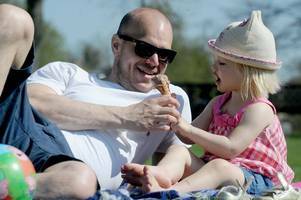 Helene is also expected to bring unseasonably warm weather to South East England. 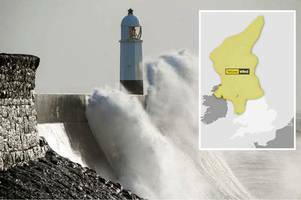 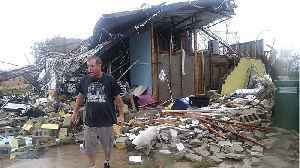 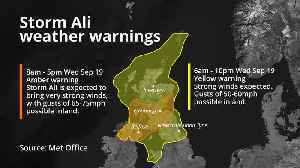 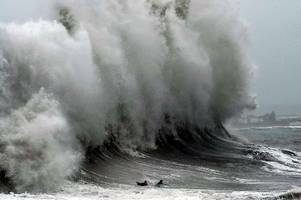 Winds of 75mph are predicted to crash ashore, with the worst of the weather forecast for Wednesday. 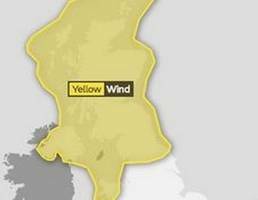 Met Office have issued a yellow weather warning for Wednesday and are predicting the potential for travel disruption.